Oh. My. Goodness. 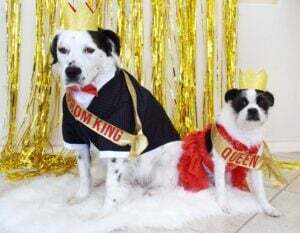 Look at these adorable doggos in their Prom King and Queen dog costumes. Get the DIY to dress your pups like royalty, too!